We’ve been telling you about the power of programmatic advertising and how it can transform your media purchasing in some pretty dramatic ways. As more and more clients adopt this approach, success stories begin to emerge. We thought it might help to highlight a few case studies from our clients that provide insight into how programmatic advertising works – and get you thinking about how it might help you, too! Our healthcare client had been locked into purchasing contracts on an annual basis with certain media partners. 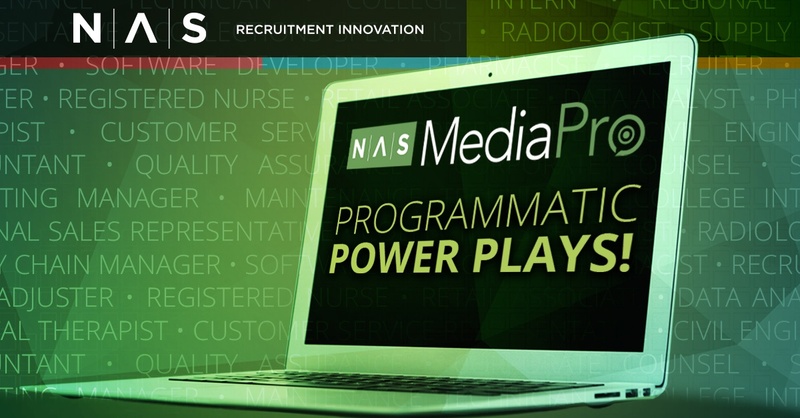 We ran a trial of NAS MediaPro for three months, just prior to their annual renewal of a large contract. Based on results from the campaigns, we made the decision to NOT renew that annual contract, but to still include that site as a vendor through programmatic purchasing. The client was saved from a dreaded annual commitment and the difficult process of forecasting the exact number of postings to buy. Yet, they are still able to leverage the site at competitive pricing and get great results from it on an as-needed basis. Jennifer Henley, NAS Vice President of Client Services, will speak at the 2018 Annual Conference of the Pennsylvania Association of Community Health Centers on Wednesday, October 10 at 8 am. Her topic will be Social Recruiting Strategy Development and Implementation, and she will lead an interactive session to help attendees build an effective business case, select the right social platforms, create relevant content and analyze results. 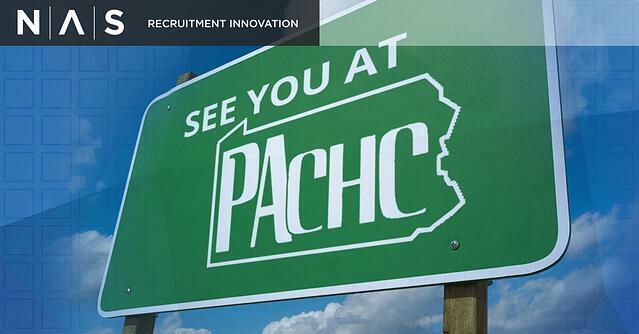 PACHC’s 2018 Annual Conference & Clinical Summit will be held from October 9 through 11 at the Lancaster Marriott at Penn Square & Convention Center in Lancaster, PA. It brings together health center leaders and staff for professional development, important conversations, memorable learning experiences and inspiration. Registration is still available, if you would like to attend. 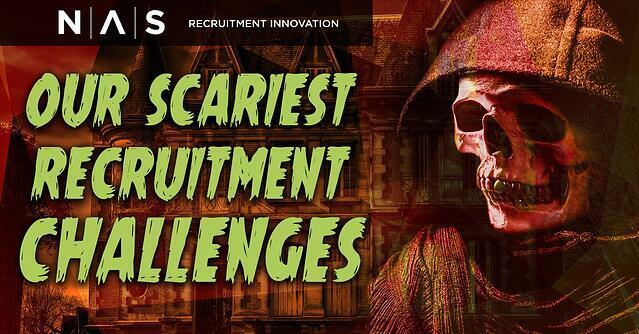 What kind of social media recruiter are you? 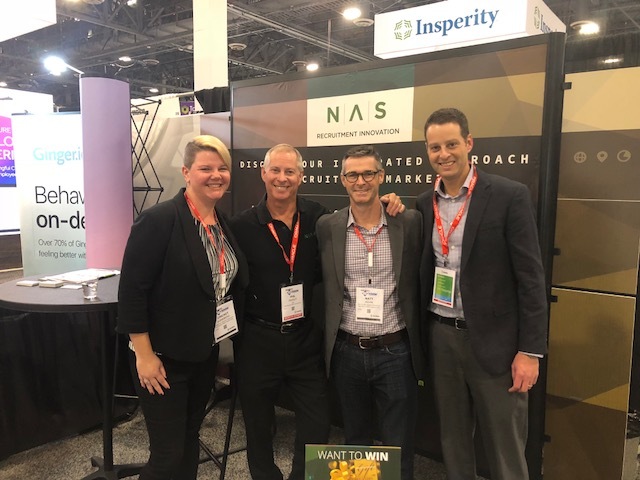 Several members of the NAS team attended HR Tech last week. We learned a lot, met with plenty of great people and had some fun, too (hey, it was in Vegas). The keynote address was delivered by Mike Rowe, who discussed the need for more awareness of and emphasis on trade jobs in our economy, vs. the typical focus on degreed professionals. These so-called “dirty jobs” are often unfilled because everyone is encouraged to pursue college degrees. His Foundation started the Profoundly Disconnected® campaign to offer scholarships to help fill the skills gap needed to staff these roles. Let's talk tech in Vegas! As the industry’s leading independent event for 20+ years, HR Tech has been a top-priority, must-attend venue that showcases a holistic view of the HR technology market. HR Tech is attended by foremost industry experts, software vendors, thought leaders from major and emerging HR consultancies and every vital HR professional who values unique industry insight. 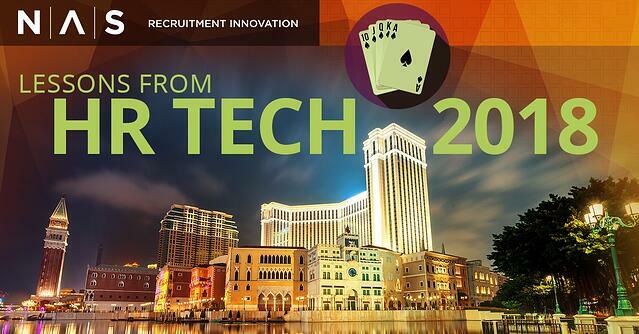 We’ll see you in Vegas…at HR Tech 2018!